When Lagunitas Brewing Company decided to add solar power to its energy mix, the project drew bids from nationally recognized solar design and installation companies from around the country, who vied for the coveted contract. The Petaluma-based brewing company awarded the project, which will make it the third-largest solar installation at a brewery in the world, to Sonoma’s Westcoast Solar Energy. 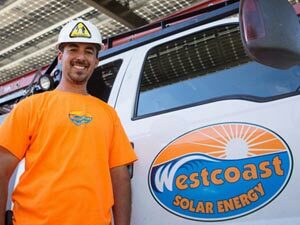 “We preferred to go with a local business if at all possible, so that was a determining factor, but also, we really liked the innovative ideas that Westcoast Solar brought to us,” said Karen Hamilton, communications director at Lagunitas. Beginning in the next couple of months, Westcoast will install 2.1 megawatts of solar power for the $5 million project. This is a major coup for the Rohnert Park company, which is run by owners, Nate Gulbransen and Jeremy Greer. Going solar has been on the Lagunitas radar for some time. “We always knew that solar would be a great option, but there are ways to do solar right and make it cost-effective, and ways to do it not so right. We needed to be able to spend the time to do the correct research to determine the best approach,” Hamilton said. The project is still in the permitting phase and is expected to be completed by the end of the year. With 6,000 panels, this will be the largest project Westcoast has taken on, by seven times. When completed, it will also be the second largest solar array in Sonoma County. SOMO Village has the largest, with 2.14 MW, and will be adding another 1MW this summer. To put that in perspective, the Lagunitas project will generate enough power for more than 600 average-sized homes. The brewery currently spends about $1 million on electricity each year, and the array will generate enough power to cut that by 50 percent. The MillerCoors plant in Irwindale, Calif., is credited with the largest solar array for a brewery in the U.S. with 3.2MW, and number two is Sierra Nevada in Chico with about 2.6MW. Westcoast was chosen for the project in part because of its approach to solar. “We consider ourselves a construction company that specializes in solar. We’re not a solar company that farms out the construction,” he said. “We are installing solar on one acre of our 22-acre farm, and Westcoast Solar suggested a design where the bottom edge of the panels are six feet off the ground. So while it covers an acre of land, it allows us to be able to use that acre for cattle and sheep grazing, and it also gives those guys a place to get out of the sun sometimes and hang in the shade,” said Hamilton. The power from that array will run under nearby SMART Train tracks to the main service panel at the brewery. Westcoast will drill under the tracks with a new precision drilling system it has developed, which they also plan to make into an offshoot business. Gulbransen and Greer started their company in 2009 after working for a large solar integrator company in the Bay Area. They design, build and install their systems using standard building materials that are replaceable. The systems are built for longevity. “There are no off-the-shelf parts, and we are constantly evolving our designs and materials to make a better system. If we’re gone in 10 years, you can still go down and get a replaceable part. It’s a unique concept, and it’s ridiculously simple how these projects come together and how we design them to be serviceable for our customers long-term,” Gulbransen said. 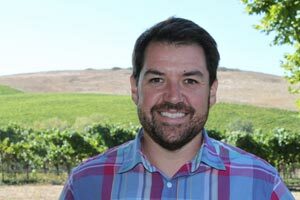 More than 70 percent of Westcoast’s commercial business has been wineries, with several in Dry Creek Valley, including a 212KW project at Michel-Schlumberger Wine Estates. Between the Lagunitas project and other jobs they have taken on, Westcoast plans to increase its workforce 50 percent, to 12 employees.